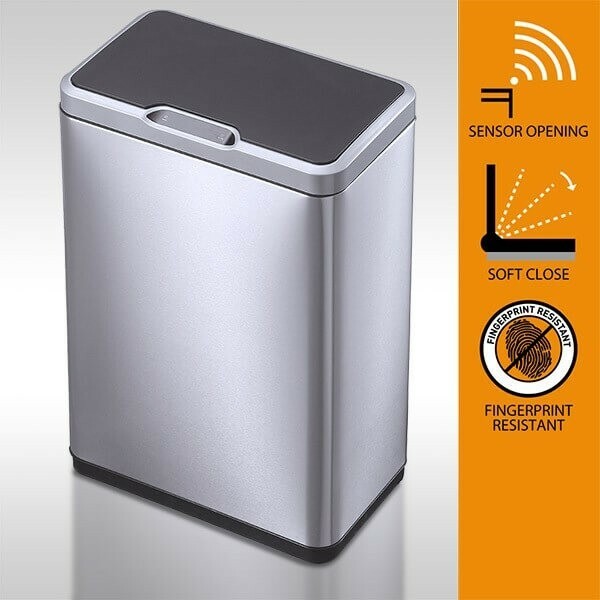 This elegant, large, rectangular 80L motion activated sensor bin is designed to fit neatly into any kitchen or work environment. Simply approach and the lid will open automatically and close when you are done. 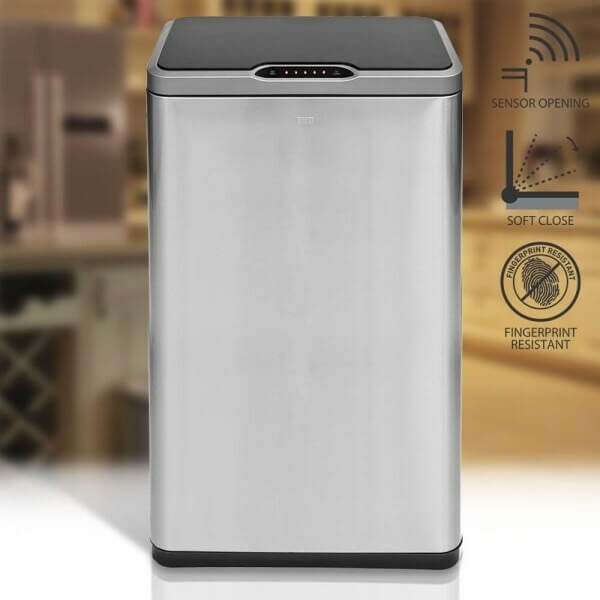 The EKO Mirage 80 litre big bin uses standard bin liners that are secured in place by a handy bag retaining ring that hides untidy bag hangover. 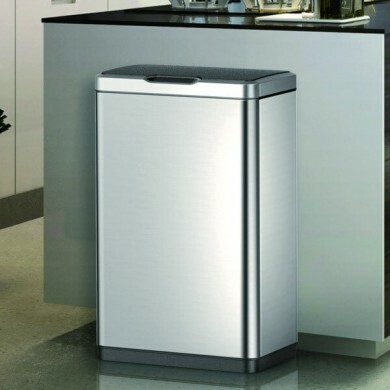 The 80 litre big bin is constructed from high-quality brushed stainless steel that offers an attractively modern soft sheen, high-end look. The flat, narrow design of the EKO Mirage Series bins allow them to be placed flush against a wall or work unit for maximum space utilisation. Another innovative feature of the bin is the addition of a bag retaining ring which holds the waste bag in place efficiently and hygienically. This feature helps reduce cleaning by contributing to eliminate spills that create a mess in the base of the 80 litre big bin to reduce cleaning time. The bin also includes a deodorizer compartment enabling activated charcoal filters to be fitted to absorb, neutralise and reduce unpleasant odours. Manual open/close over-ride buttons for disposing of larger waste.